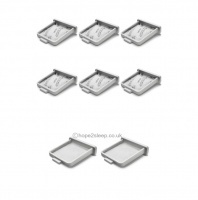 We are pleased to now supply the DreamStation Go Travel CPAP Auto (APAP) Machine which is a truly remarkable and robust small machine, and whilst all travel machines are a little noisier than full sized machines due to their size, there are some people that are using this one even at home as it offers all the features of the DreamStation full sized CPAP machine with easy to view data on both the touch screen and via the Dream Mapper phone app. There is even a usb to charge a mobile phone. 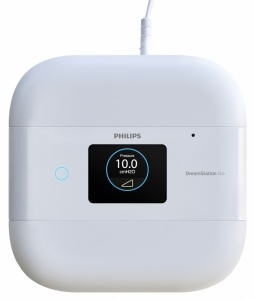 Philips Respironics' addition of the DreamStation Go Auto CPAP (APAP) to the 'Dream' family is a welcome member for those wishing to own a quality travel CPAP machine, which has almost all the features of it's big brother, the DreamStation, yet is half the size. Still, because this little machine is so robust there are some people choosing this for full time use. As with all travel sized machines the noise is a little louder than the full sized ones, but it's certainly not what you'd actually cause noisy, at under 30 decibels! Love the way that whilst on our travels there's a usb on-board to charge a mobile phone. Being half the size of the larger popular DreamStation machine, it's much easier for travel. Has the convenience of a battery that attaches to the DreamStation Go machine itself and is FAA approved for taking on planes (with the required permission of course which is standard practise when travelling with any battery). The built-in bluetooth makes it easy to upload the compliance and efficacy data to the Dream Mapper app on our phones. An SD card can also be used to download the data onto a computer, but the touchscreen on the DreamStation Go also gives quick access to the data, along with easy access to other features. 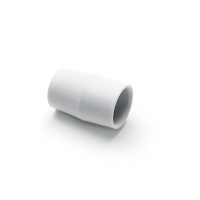 6 ft micro tubing is supplied with the DreamStation Go with a width of just 12 mm to further cut down on bulkiness. However, the standard tubing will still fit the machine if preferred and there are settings within the machine that can be adjusted if a different sized hose is preferred. 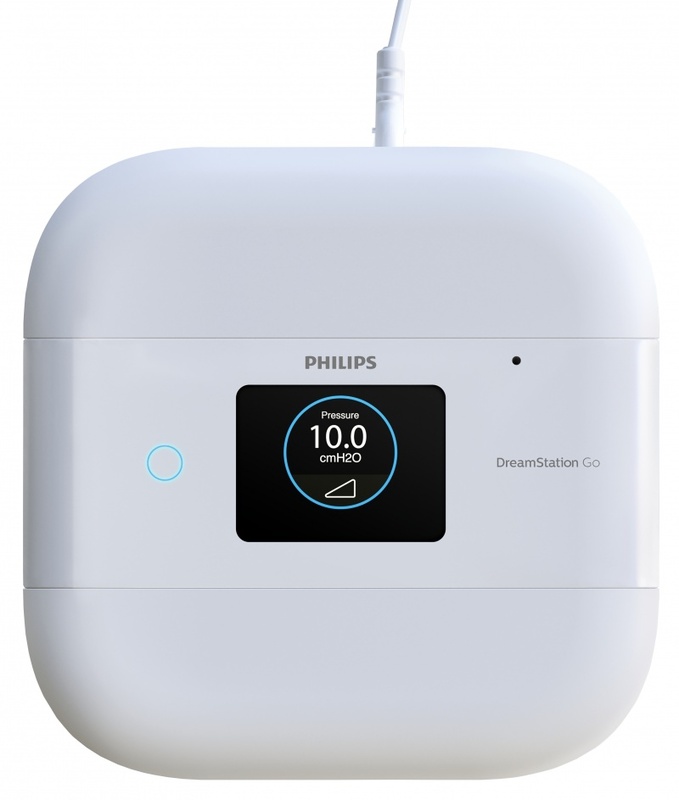 Philips Respironics have even introduced an optional integrated humidifier which can be purchased for those people who cannot bear CPAP without humidification. Furthermore, it is advertised that normal tap or bottled water can be used with it as this advanced humidifier technology can handle any minerals or impurities in the water. Distilled water can, of course, still be used. Unlike some travel machines, any mask can be used with the DreamStation Go, even if your favourite mask isn't manufactured by Philips Respironics. 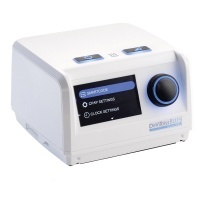 Whilst the DreamStation Go is marketed as an Auto CPAP (APAP), for people who get better therapy on fixed CPAP pressures, the machine can be run in CPAP mode. Flex pressure relief hasn't been cut back on with this travel sized machine, so that comfort isn't forfeited for people who need decreased CPAP pressures for exhalation. News just released (12th March 2019) is that an optional Humidifier has now been released so we look forward to this arriving to the UK. 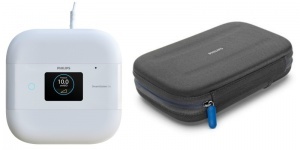 The only drawbacks we can find at the moment is that the DreamStation Go doesn't include a carry bag, but this is because there are 2 different sizes to choose from - a smaller bag for those that require only the travel machine and the medium one for people wanting to also transport the battery or the humidifier. Please also note the battery and the integrated humidifier cannot be attached to the machine at the same time, although there's always some compromise when travelling light as we can't have everything! 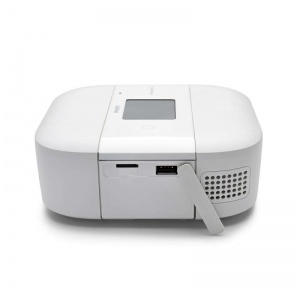 However, there are other batteries on the market that will power the DreamStation Go for people wanting to use both, although always bear in mind that using a humidifier with a battery will cut down the hours of usage so most people opt for no humidification when using a battery to power their machines. In summing up, this is truly an excellent choice for those wanting to travel lighter, but also has all the optional features for people who wish to travel off-grid and for the campers out there. 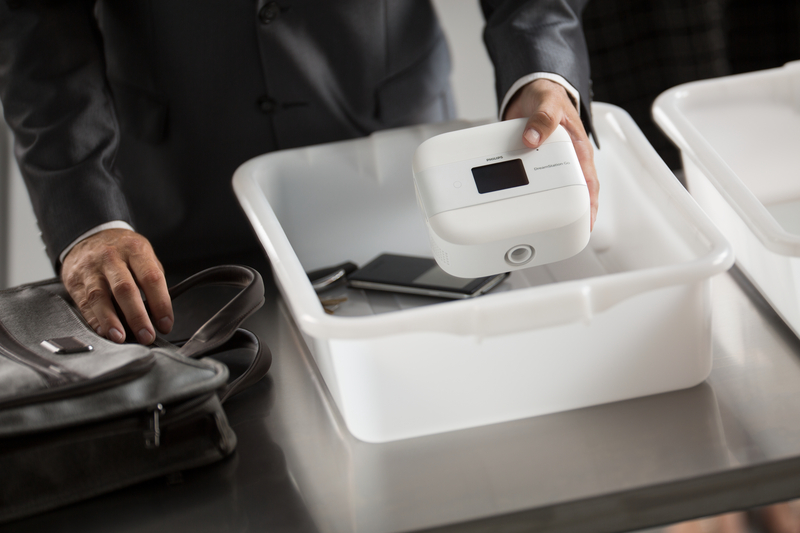 For your convenience at security controls in airports, there is a note on the bottom of the device stating that it is medical equipment and is suitable for use on aircrafts. The device is suitable for use on aircrafts when it is operating with AC power source or battery pack. Contact the airline prior to departure for information on the power sources available on your flight. This device automatically compensates for altitude up to 7,500 feet. No manual adjustment is necessary. Adjust device settings and view therapy information with DreamStation Go's colourful and intuitive touch screen. 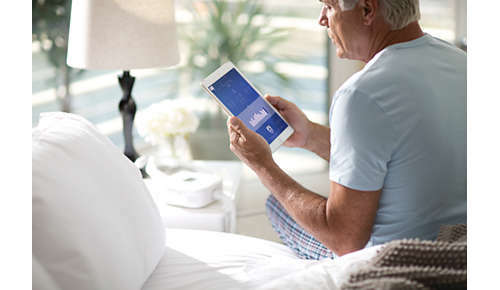 Take advantage of our MyStart feature, which allows you to set the starting pressure for Auto CPAP therapy that is most comfortable for you. If the default air pressure feels too high or too low while trying to fall asleep, you can simply adjust the MyStart pressure setting up or down, allowing you to fall asleep more comfortably. 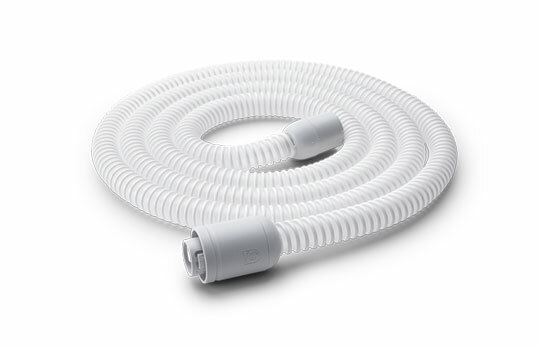 Included with your DreamStation Go purchase, the new 12 mm micro-flexible tubing is Philips' smallest and lightest we've ever offered, providing enhanced packability, flexibility and freedom of movement while you sleep. Fast and easy click connections on each end of the tubing. 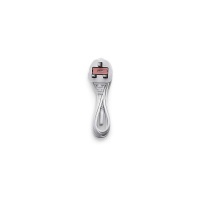 Features a slim connection to our DreamWear mask and includes a 22 mm ISO adapter for other masks. If you plan on travelling off the power grid, DreamStation Go's overnight battery can help you stay committed to your therapy. DreamStation Go set at 10 cm of pressure displayed an average run time of 13 hours*** when running on the DreamStation Go overnight battery. 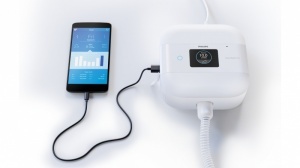 Battery run times may vary due to higher CPAP pressure settings, excessive mask leakage, altitude, temperature, charging devices with USB ports and other factors. ***Run-time test conditions: CPAP mode, pressure 10 cm H2O, 12 mm tubing, leak 37 LPM, 23°C (73.4°F) room at an elevation of 503 m (1650 ft). Compatible with the Philips DreamMapper patient self-management tool, allowing you to monitor your therapy even while you're on the go. Already using DreamMapper with another Philips CPAP? 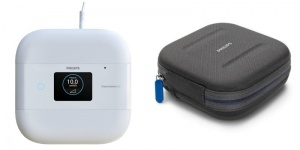 No problem as DreamMapper now allows users to sync multiple Philips CPAP devices to one account with one combined view. Bluetooth is standard with every device and a MicroSD card can be purchased separately. Instruction Manual and a digital version is also available to download by clicking here. Please fill in your name and address on the downloaded form which can then be taken to, sent to or emailed to your clinic, as without approval we cannot release any CPAP machines. If your clinic have instructed any specific settings, these will be set up before the machine is despatched to you. Please email the completed form back to us as soon as possible after placing an order to [email protected] so that we can arrange delivery to you. CPAP Machines are a prescription item and we cannot release them until we have signed permission from your sleep clinic. If you do not have an existing prescription we have a downloadable form on the link below. Please fill in your name and address on the form which can then be taken to, sent to or emailed to your clinic, as without approval we cannot release any CPAP machines. As soon as we have this permission you can purchase a CPAP machine, or we will send your machine if you have already placed your order. Please email the completed form back to us as soon as possible after placing an order to [email protected] so that we can arrange delivery to you. Please note that if your clinic have instructed us to change any settings on the machine, this will be done by us prior to sending the CPAP out to you. 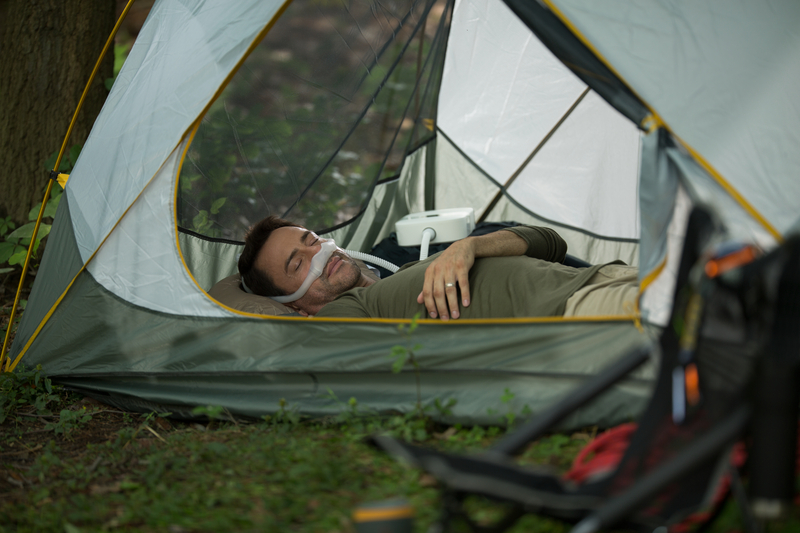 CPAP Masks are NOT a prescription item so no approval is needed. 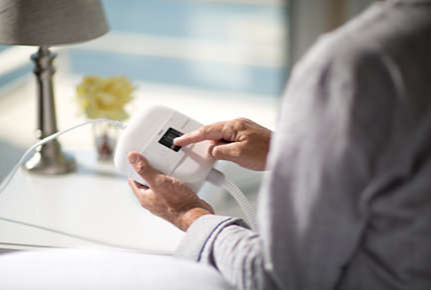 If you have any queries before or after purchase of a CPAP machine, please contact us on [email protected] or telephone our local number during office hours on 01482 374181.